Becoming a homeowner, especially for the first time, is one of the most exciting ventures you can have. 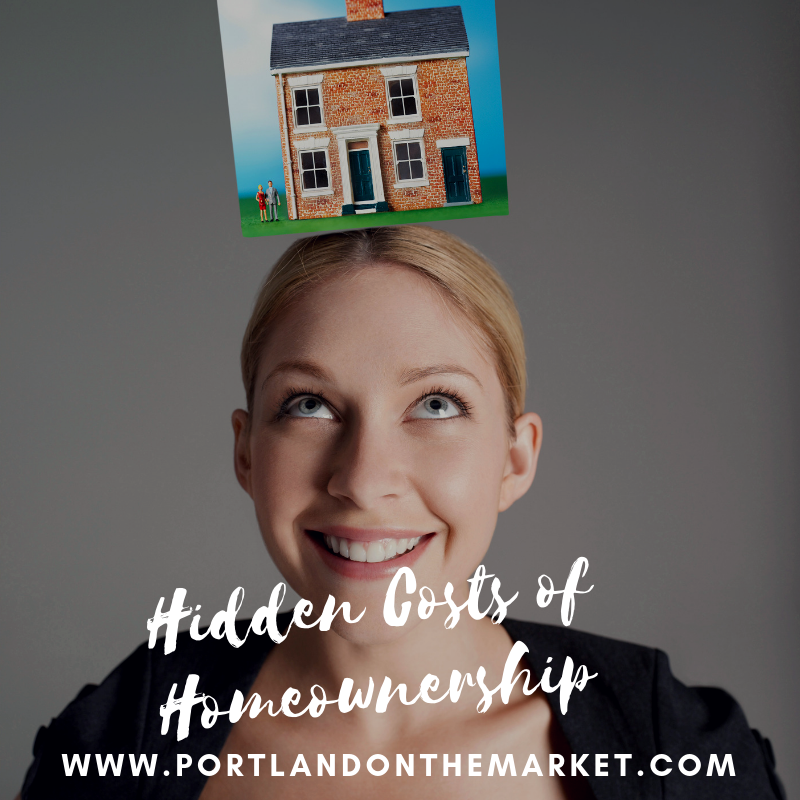 This is the largest purchase you'll ever make and once you're in a home of your own, it will feel satisfying and secure, but that doesn't mean that you're off the hook when it comes to home maintenance and additional fees that come along with homeownership. Not only do I want to help our buyers find the right home and be satisfied with their purchase, but I want them to be aware of any additional fees and costs that come along with that homeownership. For this reason, here are five hidden costs to homeownership. Obviously, if we own a home, we can no longer call up our landlord when the washing machine breaks, or there's a leak in the roof. All of these responsibilities now fall on to you. And, most people handle these repairs and replacements themselves to save even more money. But, time is money, so doing projects yourself may or may not save you money. A good rule of thumb is to consider 1% to 3% of the value of your home for annual maintenance. The more you hire out for certain jobs, the closer to the 3% you should set aside. #2. Reserve funds for emergencies. It's imperative to have at least $1000 set aside for emergencies. Nearly 50% of Americans cannot afford a $500 emergency of any kind and this puts homeowners at risk. Make sure you have at least $1000 in your savings account and create a plan to save between 3 to 6 months worth of living expenses. It is required to have homeowners insurance when purchasing a home through financing. But you'll also want to have it even if you bought the home with cash. Should something happen on your property that has nothing to do with neglect from you, you'll want things covered such as if a tree falls on your neighbor's property and destroys something of theirs or a child slips and falls and becomes hurt while on your property. Homeowners insurance can run you anywhere from $500 a year to over $1000 a year and can be built into the mortgage payment each month. Property tax can be built into your mortgage payment but it also can increase occasionally. It also can take up to three years for newly assessed values to be calculated into your property tax, which means that if values were up three years ago and then have dropped, you're still paying on the inflated price. This could raise your monthly payment anywhere from $15 to over $100 based on the tax assessments. Understanding additional costs to homeownership will help you be better prepared in case something should need replacing or repairing. It's always a good idea to have some reserves a set aside to give you peace of mind and a little more stability. Thinking of becoming a homeowner this year? Now is still a great time to look at homes before winter sets in. Now that school is back in session, competition is lower and there's plenty of inventory. Give us a call to see any home for sale throughout the Portland and Vancouver Metro area or if you just have some questions, our team is ready to answer them.